When you have a fever, it’s obvious. But your oral health isn’t always as easy to understand without the help of a dentist. Fortunately, there are some obvious signs of healthy teeth and gums that can help you know you’re taking good care of your mouth! Did you know that the color of your gums can be a good indicator of their health? Healthy gums are typically pink! Certain issues can change them to appear bright red or even a pale, white color. In either case, it suggests that your oral or overall health might be at risk. Bright red gums are a common sign that your gums are suffering inflammation. The most likely cause of inflamed gums is gingivitis, also known as gum disease. If you notice the color of your gums shifting red from pink, make sure you’re brushing them adequately every time you brush your teeth! On the other hand, if your gums begin to show a pale color, you should schedule a visit with your doctor. Pale gums are often one signal that you may have anemia or another illness. When you pay attention to your gums, you may be able to catch it before you suffer any major complications! Nobody likes to have bad breath. It’s embarrassing! It’s also a common sign that your oral health isn’t as good as it could be. If you have chronic bad breath, chances are your mouth is full of bacteria. The plaque build-up of bacteria never smells good, and it leads to an unappealing smell you’d do anything to cover up. If you brush twice a day and keep your mouth bacteria-free, your breath will be neutral-smelling – or even pleasant! Don’t forget to floss, too. Foods stuck between your teeth contribute to plaque growth and can directly impact the odor of your breath. Great oral health means you take care of your gums. The only way to keep gums plaque-free is through daily brushing, just like your teeth. Also, like your teeth, brushing your gums shouldn’t be particularly eventful – a few minutes of brushing, rinse your mouth and you’re all set! But if you haven’t kept up with your brushing routine, or if you haven’t been brushing your gums properly, you may notice some blood on your toothbrush or after you spit the toothpaste out. There are a lot of causes of bleeding gums, and none of them are good signs for your oral health. 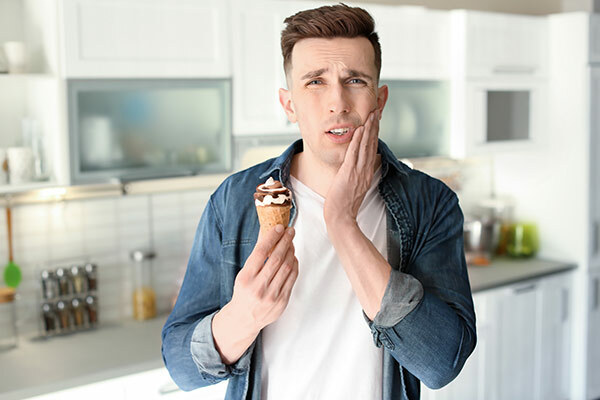 It’s perfectly normal for your teeth to be sensitive to some foods or drinks, like cold ice cream. But outside of these extreme cases, healthy teeth should be protected from sensitivity pain due to your enamel. But decaying teeth means a loss of enamel, which leads to sensitive teeth. Occasionally, you may feel a bit of pain when eating or drinking certain foods. This isn’t necessarily a cause for concern. But if you consistently feel sensitive tooth pain from eating or drinking, you have tooth decay that’s caused a loss of protective enamel. Enamel currently can’t be restored – though there are some ways to help protect your teeth after losing enamel. Because you can’t restore it, you should focus on keeping your teeth healthy and clean to guard your enamel as long as you can! The healthier your teeth are, the more enamel they have – which, in turn, keeps them even healthier! Poor oral hygiene can compound on itself to quickly undermine your dental and overall health. 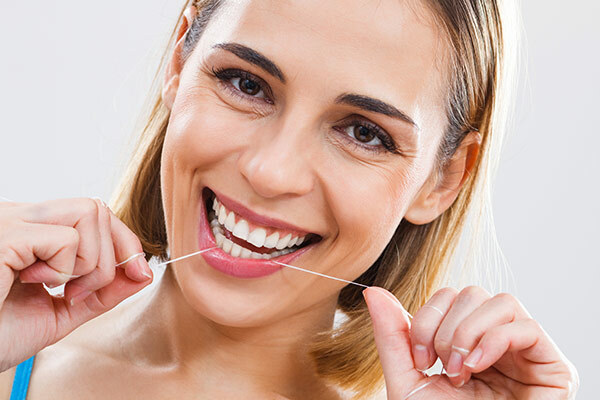 Keep those teeth free of pain by brushing and flossing every day! The alignment of your teeth matters, and not just for a winning smile. A level bite and properly aligned teeth are a great sign of healthy teeth – whether it’s all natural or if you went through orthodontic treatment to correct them. Malocclusions, where your bite is misaligned due to crowded or crooked teeth, cause your jaw not to meet properly and often lead to other oral health issues. When your teeth are crooked or protruding too close to each other, it makes it more difficult for you to care for them. In serious cases, it negatively impacts the development of your jaw! If your dentist has recommended a consultation with an orthodontist, take it seriously! Orthodontists don’t only treat you for cosmetic issues, they can help restore the health of your smile to prevent issues that may only become apparent a decade or more later. Do you have a sturdy row of teeth? Great! When your gums are in excellent health, and your teeth are free of decay, they should firmly sit in your gums and jawbone to provide a solid bite with no wiggle room. However, as gum disease worsens, or your teeth begin to suffer extreme decay, they can become loose from the roots – which makes eventual tooth loss all but certain. Outside of injury, loose teeth are typically due to chronic gum disease. This means it should rarely come as a surprise, as you’ve likely dealt with many of the other signs of worsening oral health first. If your teeth are all firmly in place, that’s good news! If not, you need to make an appointment with your dentist as soon as possible. Have you been eating food that’s likely to damage your teeth? We can help! The professionals at Walbridge Dental provide complete family dental care to families in the Millbury community. Contact us online to set up an appointment now or call us at 419-836-1033. This entry was posted in Dental Tips, Preventative Dental Care, Tooth Loss and tagged dental health, preventative dental care. Bookmark the permalink. Follow any comments here with the RSS feed for this post. Both comments and trackbacks are currently closed.